A 12 Days of Freebies Printable for your little ones! 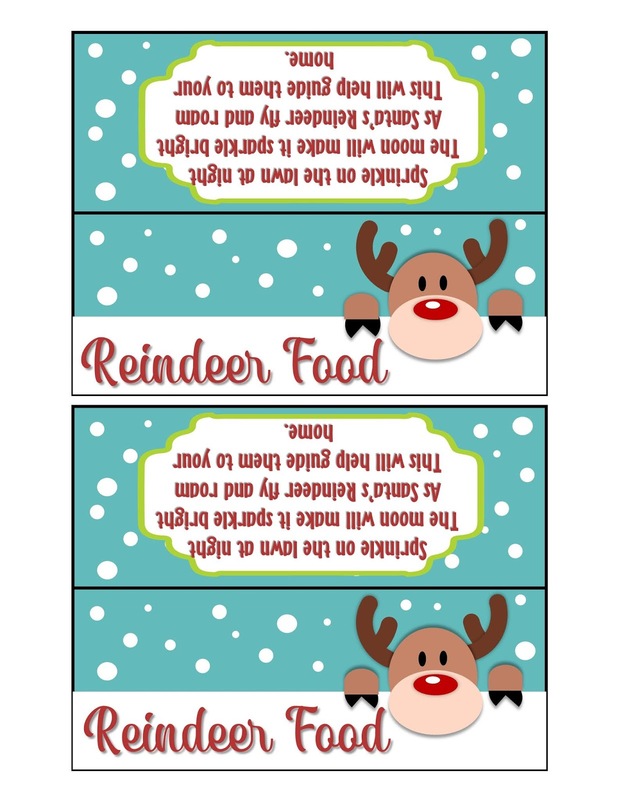 When our daughter was in Kindergarten and First Grade her class made "reindeer food" at their class Christmas Party for each child to take home. She enjoyed it so much that we continued the tradition with our son when he came along. 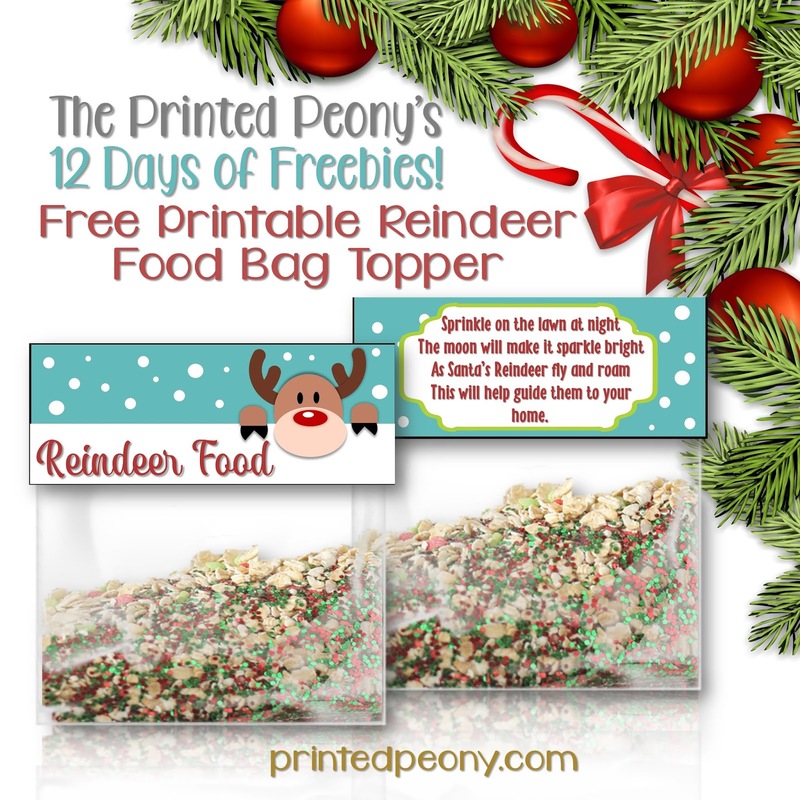 These Free Reindeer Food Bag Toppers are a cute way to store the magical Reindeer food until Christmas Eve. 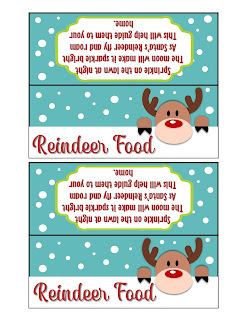 Each 6.5x2.5" Topper Features a peeking reindeer on the front and the rhyme below on the back. Sprinkle on the lawn at night The moon will make it sparkle bright As Santa’s Reindeer fly and roam This will help guide them to your home. The Reindeer Food Bag Toppers fit stand size sandwich bags. The printable PDF file will print 2 per 8.5x11" sheet. Just print, cut, fold in half and staple to your sealed bags. Dump Oats in each bag and let the kids sprinkle in the Sugar Sprinkles or Edible Glitter. Seal the bags and shake gently to mix up. 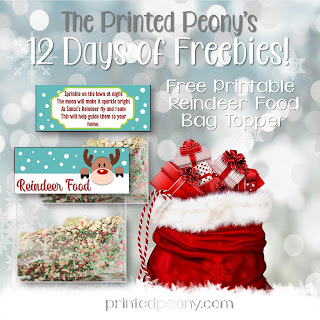 Staple one of Our Free Printable Toppers to the top of each bag. Before bedtime on Christmas Eve the kids can sprinkle the Magic Reindeer Food outside. If it is wet outside make sure to sprinkle on the grass not the walkway.